There is also a standalone version of this wordpress plugin. 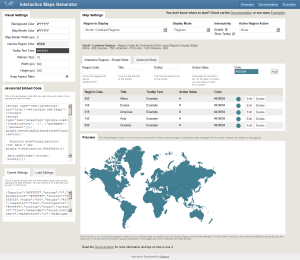 You can generate as many maps as you want and copy the embed code and place the maps in any of your websites! No need to upload any extra files to your website, just embed the code!! It will generate the code for the google geochart api display the maps. GET THE STANDALONE VERSION NOW!